These adaptors are CNC machined from alloy billets and will eradicate the issues of the original plastic block conections breaking. The Cam cover breather installs into the OEM barb. 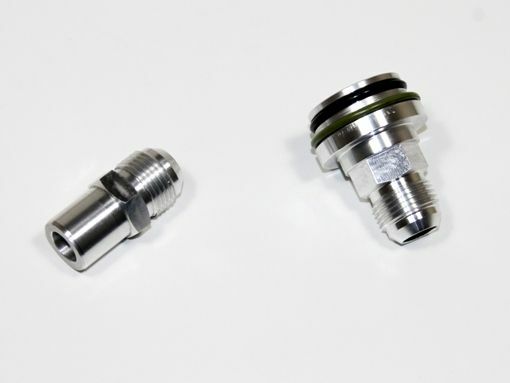 ( pull out the original and tap in the new) Once installed these adaptors allow you to connect braided hose wish Dash 10 ( 10an ) fittings. These are ideally suited for those wishing to redesign the breather installation or simply want to improve upon the original installation.